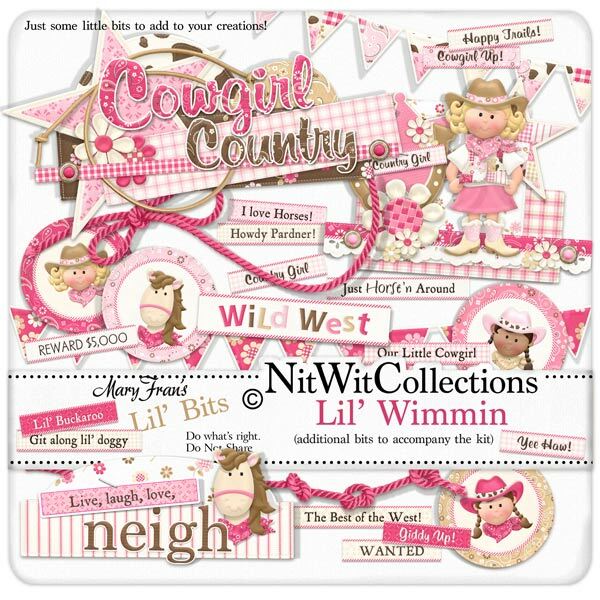 Lil' Bits "Lil' Wimmin" gathers together the hard work I have done in creating these premade digital scrapbooking elements so you don`t have to "round them up" yourself. These digital elements are NOT included in the FQB "Lil' Wimmin" Collection. 2 Bunting strands - there`s always a reason the celebrate! 1 Wordart - "Country Girl"
1 Wordart - "Cowgirl Country"
1 Wordart - "Live, Love....."